That Amazon Prime subscription is becoming more and more useful, for all the wrong reasons. As discovered this morning: Amazon is now limiting sales of select movies and top-tier video game titles to Prime members. 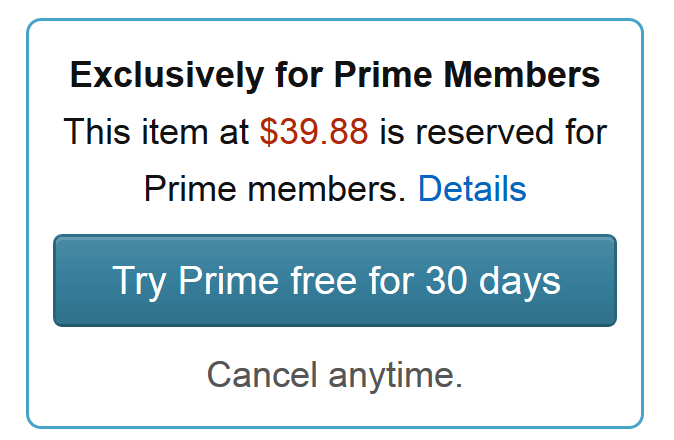 As in, if you don’t have Prime they won’t sell you a copy at all—though the restrictions appear to be somewhat in flux. The program doesn’t seem especially large at the moment—Grand Theft Auto V is the first big example in the U.S., as spotted by Engadget—but it remains to be seen how many titles will eventually fall under this umbrella. In the U.K., Videogamer reports that it also includes Far Cry Primal, Fifa 16, Rainbow Six: Siege, Far Cry Primal, and Battlefield Hardline. Business Insider also noticed some Blu-ray discs with the restriction, as well. That latter bit is important. It’s not impossible to buy these games on Amazon—you just can’t buy them from Amazon. Non-Prime members are restricted to purchasing from third parties. It’s a dangerous move by Amazon, though. Part of Amazon’s appeal (for me at least) is the fact I can buy anything. 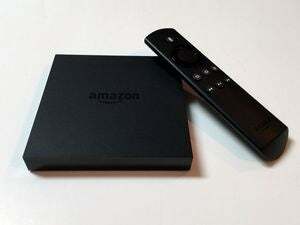 And just like when the company stopped selling the Chromecast and Apple TV last year, it feels like a bad call for Amazon to put doubt in anyone’s mind that they won’t be able to find what they want. At the moment it shouldn’t affect PC gamers much, I hope. After all, how many PC gamers are buying physical copies of games, except for people already cashing in on being a Prime member? But we’ll keep an eye on this trend and see if it spreads further. Since the issue first was reported, some of the U.K-based restrictions appear to have lifted, though Grand Theft Auto V and the Birdman Blu-ray are limited to Prime members only in the U.S.